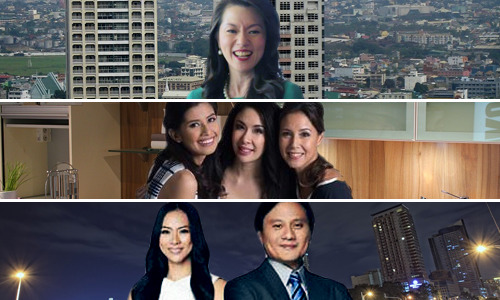 Bloomberg TV PH, CNNP and ANC to launch new shows: Which are you most looking forward to watch? September is upon us and it's about to become one of the most exciting months in local television news industry this 2015, as three of the country's news channels — one of them is the newest kid in the block — unveil their latest offering. After months of preparation, TV5 and CignalTV will finally inaugurate Bloomberg TV Philippines on the third week of September with programs to be headlined by Shawn Yao, Quintin Pastrana, Michael Alimurung, Jean De Castro, Regina Lay, Tony Abad, and Atty. Rod Nepomuceno. Among in the lineup of the localized business news channel's programming are the following: In the Loop, Top 5, Bright Ideas, The Insight, First Up Smart Moves and Political Capital. (Read related story here). CNN Philippines will also debut a series of lifestyle shows to premiere all throughout the month. Leading the lineup is the new 4PM talk show Real Talk, hosted by beauty queen Shamcey Supsup, Olympic athlete-TV host Christine Jacob-Sandejas, and comedienne Giselle Sanchez. 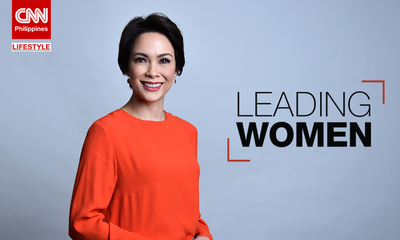 Set to air on September 13 is Leading Women, a documentary series which will put a spotlight on the country's most influential Filipino women, to be hosted by MedTalk's Angel Jacob. Other offerings of the localized CNN channel include What I See (now on its third season), and Bogart Case Files: On The Job. Tomorrow, September 1, meanwhile, marks the much anticipated local television return of Cathy Yang via Market Edge with Cathy Yang, set to air daily at 3PM. FINAL CUT: THE PROMOCatch my new programmes on ABS-CBN News Channel (ANC) at these times:Market Edge with Cathy Yang @ 1500H Manila timeBusiness Nightly @ 2200H Manila timeOr view them on ABS-CBNnews.com.Kampamilya in the Philippines and from around the world, let's get down to business! With a large crop of shows arriving this September, we thought it would be apt to open our MNP Poll and gauge your interest. Let us know which among the new shows are you most looking forward to watch. Cast your votes below and please leave us your comments. You can also share us your thoughts on our Facebook page or tweet us @medianewserphil. Which are you most looking forward to watch?